Dan grew up in Des Moines, Iowa and attended Roosevelt High School. He majored in history and philosophy at Creighton University where he earned his B.A. in 1982. He then returned to his home town and attended Drake University Law School achieving a J.D. in 1985. Following graduation, he served as a Law Clerk to The Honorable Maynard J. V. Hayden on the Iowa Court of Appeals. He then was a felony prosecutor in Black Hawk County, Waterloo, Iowa, achieving the position of First Deputy Assistant Attorney. 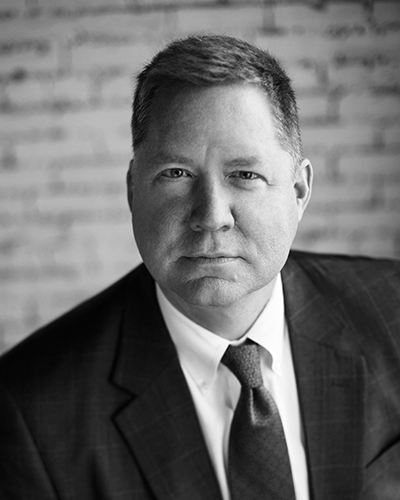 Dan began his affiliation with the Heidman Law Firm in 1989 practicing in the Des Moines office. In 1991, Dan moved to the Sioux City office and became a partner in 1994. Dan founded the Shuck Law Firm in 2009. Dan’s general practice includes, but is not limited to, civil litigation, complex litigation and personal injury. Dan is a longstanding participant in the American Mock Trial Association. He has served on their Board of Directors, is a Hall of Fame Judge, and was the President of the Judges Hall of Fame. He previously taught Trial Advocacy at Morningside College where he was an Adjunct Professor. He also served as the coach of the nationally ranked Mock Trial Team. He is a Fellow of the Iowa Academy of Trial Lawyers and was on the Iowa Defense Council Board of Directors from 1999 to 2005. He is a National Institute for Trial Advocacy instructor and annually teaches several courses in trial techniques. Dan and his wife, Kim, have six children, Curtis, Andrew, Maggie, Seth, Sarah and Sam, and one granddaughter, Keira.